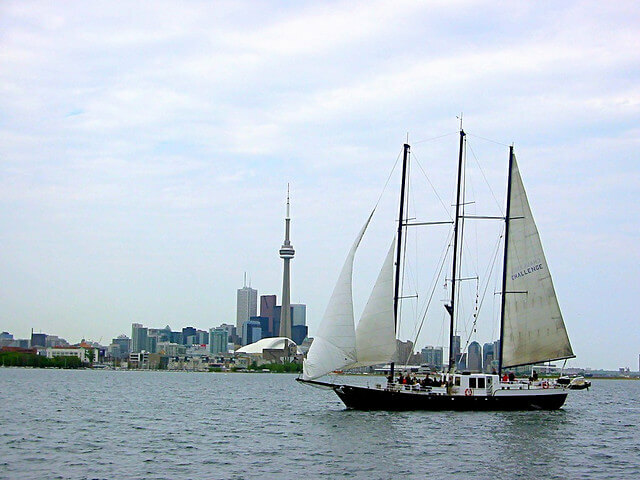 Set sail with Challenge, just steps from downtown Toronto. 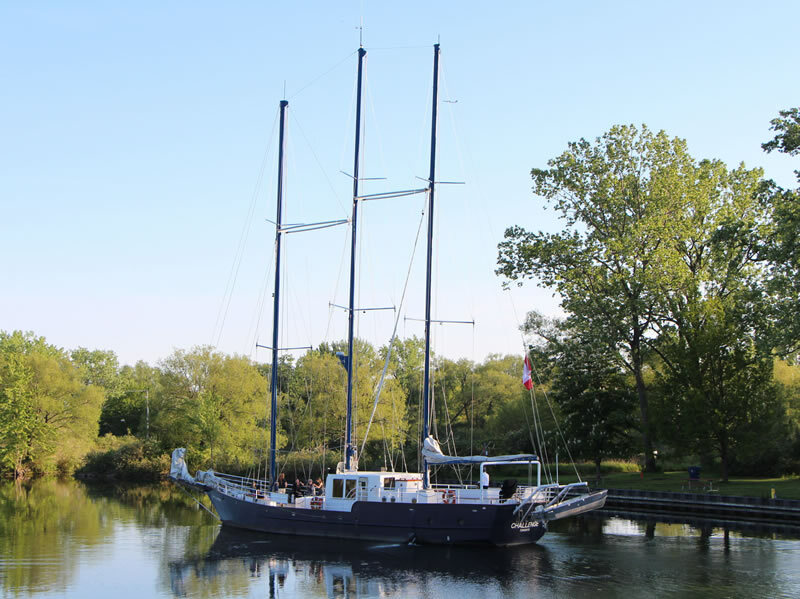 This 96’ three-masted schooner is your ultimate upscale destination ‘on-the-go’; with a sleek appearance and a chic interior – complete with lounge style couches, two large LCD televisions and a full service bar – Challenge rises to any occasion with style. 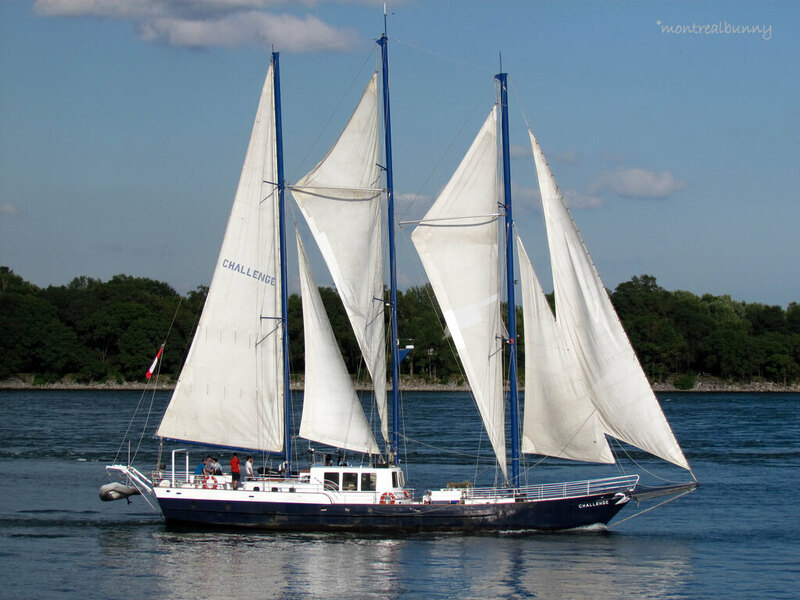 Due to her size and sleek rigging, Challenge offers a fantastic sailing experience which traditionalist love. 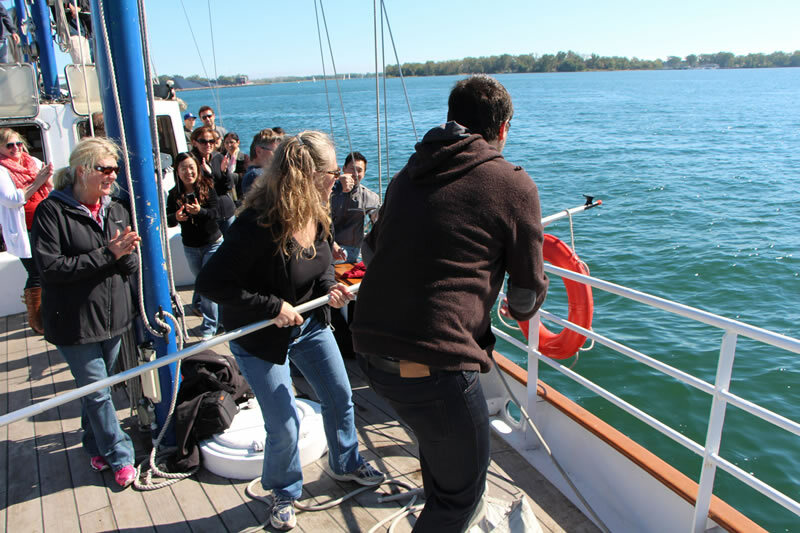 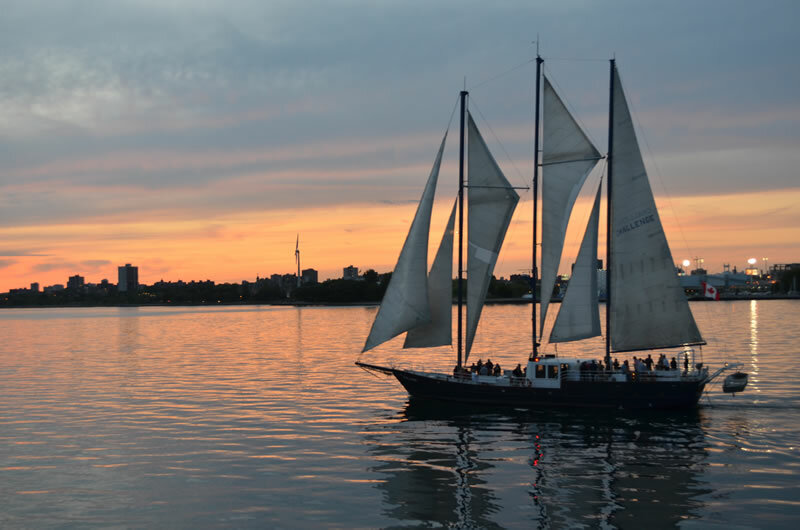 This is your chance to help raise our sails or sit back and enjoy Toronto’s fabulous waterfront. 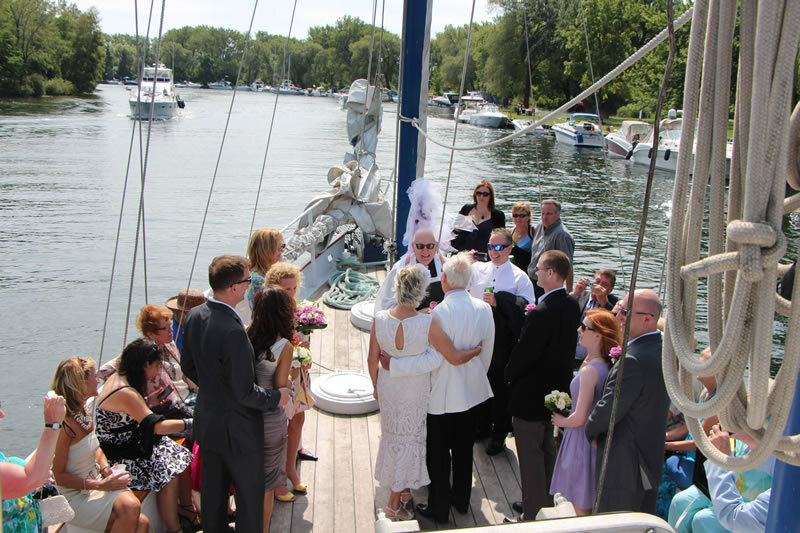 We limit seating to 60 people therefore reservations are a must! 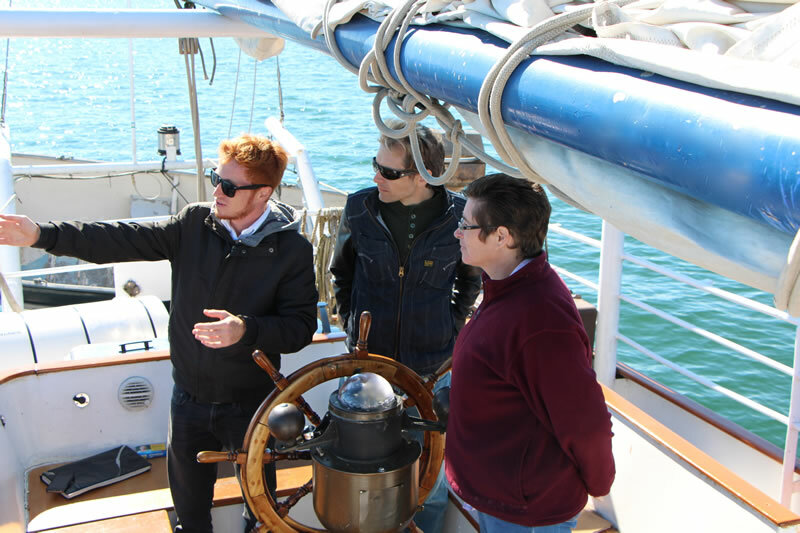 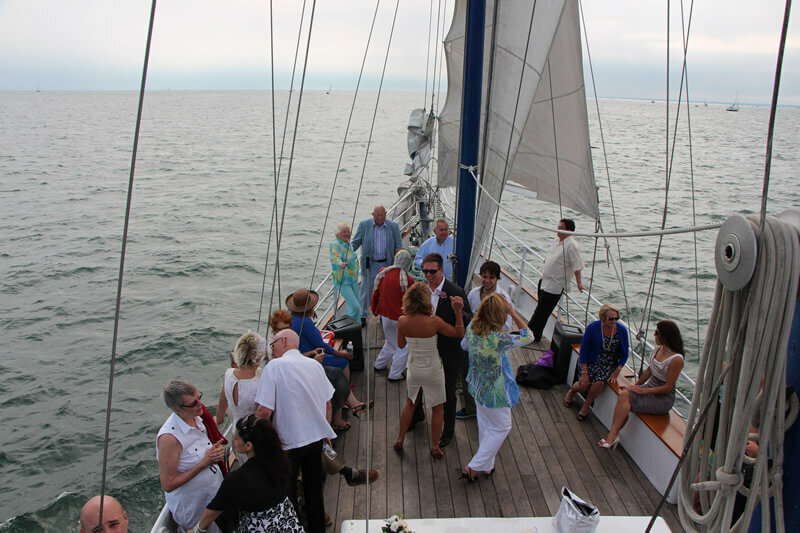 We offer a fully licensed bar on board Challenge but do not offer food service during our Public Sails.